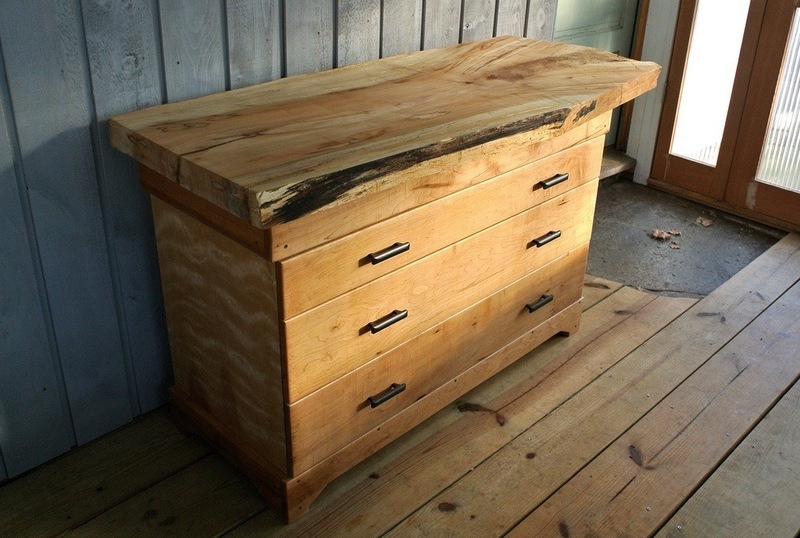 Maple wood is a very popular hardwood for furniture making and a variety of other purposes. This fine, tight-grained wood is extremely white, hard and easily provides a very smooth surface. The natural grain pattern is much more subtle than many other hardwoods, making it a popular choice for fine furniture. At the same time, the hardness, grain consistency and ease of working makes it very popular for more pedestrian uses, such as bowling pins, drums and butcher blocks. As with other hardwood plywood, Maple plywood is generally maple veneered on both faces, with a lesser expensive hardwood core. One face is considered the “good” face, intended for visible use. The other face will be a lower grade, and is left to be the interior of cabinets and doors. When buying Maple plywood, the grade of plywood will refer to both faces and the type of core. The prices will vary depending on these qualities. Due to the popularity of Maple plywood, it is available with a variety of different cores. The most common cores available are veneer core and fibercore. Of the two, fibercore is more easily machined and provides for the best possible finish. The face veneer on Maple plywood is normally “plain sliced” this means that the veneer is sliced from the log, much the same as boards are cut. This is different from the way that veneers for softwood plywood are produced; they are almost exclusively rotary cut. 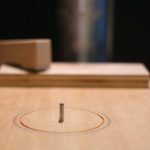 The easiest way to envision rotary cutting is to picture the log on a giant lathe, and a knife peeling off the veneer much as paper towels come off the roll. The reason for plain slicing the veneer for Maple, and other hardwood plywood is that it provides a much better grain pattern, which is more consistent with the appearance of wood planks. The best grades of Maple plywood will have the face veneers applied “book matched,” providing the same appearance as being made of book matched planks glued together. Lesser grades will not be book matched, but slip matched, with all the grain going in the same direction. There are some unique and highly decorative variations in Maple, such as Flame Maple, Quilt Maple and Maple Burl. Although the cause of these variations is unknown and largely unpredictable, it is believed to come from the introduction of disease into the tree. These particular variations are not found in Maple plywood. There is one variation of maple which is found only in plywood and other veneers; that is “Birds-Eye Maple”. This variation appears similar to hundreds of small knotholes, about 1/4” in diameter. They are not knotholes and do not weaken the wood at all. Therefore, they are not considered a defect in the wood. It only appears when the veneer is rotary cut. Because of its high beauty and associated high cost, Birds-Eye Maple is only used for fine furniture, just like Phenolic plywood. Its price is not the same as the standard Maple plywood. Due to the tight, consistent grain of Maple, it finishes extremely well. Sanding or scraping provides an extremely smooth surface, without the need of using grain fillers. Stains applied to the plywood provides extremely even color, unlike woods with a more pronounced grain pattern. If the wood is left unstained and varnished or lacquered, the grain is slightly more visible, but still subdued.